I currently work at the Newgate Theatre as theatre assistant, where my job description ranges from running errands, helping with props, getting the artists on stage(never an easy task), arranging the catering, as well as helping the Theatre Manager with anything else he may want me to do. This has changed, since the villainous acts of murderous cruelty besmirched the good name of the Newgate Theatre. I have been very fortunate in attaining another position at the Arcadia Theatre, thanks to the kindness of Sir Terrance. We are to put on Moliere. Let us hope that this will be a much happier time of working than before. I have always wanted to work in the theatre ever since I can remember, but alas, it seems it is my lot to always be the other side of the boards. I did act a bit in my younger days, not that I am so very old now, but i have a good position as Theater Assistant at Newgate Theatre and work that I adore, most times. Of course, there are all those pitnicky details that must be dealt with, but are absolutely necessary to make any play an absolute smash hit. I do like to feel that I in some small way helped to make it the hit that it becomes, even though I know that it takes everything working together for a play to be a success. The current production on which we have begun working is a Japanese production of 'Macbeth', titled, 'The Throne of Blood'. I do hope the title is not a sign of things to come. After hearing the rumors about the last production, I begin to wonder if it was a mistake to move here. 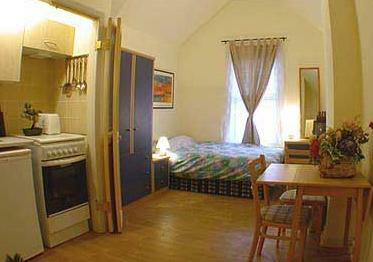 You can see the picture of my small flat above, just a one room studio flat, but that's enough for me. After all, my real home is at the theatre, anyway. I am a war widow, my husband having died under mysterious circumstances. It is only when I begin to hear several conflicting versions of how he actually died that I begin to question whether he was serving as a British spy for our government. The French may suspect that I know more than I actually do, considering that what I know is nothing.